Pierre Jacquet has assumed charge as the fourth President of the Global Development Network (GDN) on 16 July, 2012. In the coming months, Professor Jacquet intends to build on the model developed by former President Dr. Gerardo della Paolera. Over time, he is keen on strengthening the key aspects of GDN’s mission – that of fortifying research capacity and providing the value-added of an effective network to young researchers in developing countries and transition economies. Well-known as the Chief Economist of the French Development Agency (AFD) since 2002, Professor Jacquet also served as the Executive Director in charge of strategy from 2002 to 2010, at a time when AFD went through profound change and significantly increased both the volume of its operations and its presence in the French and international debates on development. 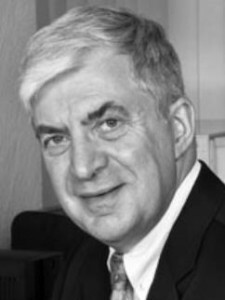 Preceding AFD, he was Deputy Director of the French Institute on International Relations (IFRI), where he was responsible for the economic program and was Chief Editor of IFRI’s quarterly review Politique Etrangère. Professor Jacquet’s career has developed around three complementary pillars: management in a public policy context, teaching and taking an active part in the public debate through addressing various audiences, and conducting policy-oriented research on international issues. As AFD’s Chief Economist, he was the organization’s spokesperson on economic issues and participated in many international conferences, seminars and working groups as a speaker. Professor Jacquet’s long and diverse teaching experience commenced in the mid-1980s. He was from September, 1994 until July, 2012 President of the Department of Economic and Social Sciences and Professor of International Economics at the Ecole nationale des Ponts et Chaussées, a renowned French graduate engineering school. He has also lectured in various business schools and universities such as INSEAD, Sciences-Po, the Paris School of Economics (PSE) and Ecole nationale d’ Administration (ENA). His major research interests are in international relations and issues, international economics, collective action and policymaking, development, the provision of global public goods, trade and finance, and sustainable development. He has addressed these topics through numerous articles and press columns, both academic and in the media. Apart from his scholastic experience, Professor Jacquet brings with him vast management and think tank experience. He conceived and coordinated international economic programs at IFRI, where he engaged in active networking between international academia and decision-makers and took part in many international events. He was also a member of AFD’s executive committee and contributed to mainstreaming results-based management in its corporate culture. Beyond his main activities, he also received a mission from the President of the French Republic to make proposals for the G20 to help developing countries better respond to food price volatility, which he conducted from February to October, 2011. Professor Jacquet is a former (elected) Chairman of the OECD Development Assistance Committee Poverty Reduction subsidiary body (POVNET) on pro-poor growth, where he presided over work programs focusing on agriculture, infrastructure, the role of the private sector, social policies and employment. Professor Jacquet is involved with a number of pre-eminent government and private institutions and organizations in various capacities. He is a member of the Cercle des Economistes, a group of 30 French economists that organizes a major international event every year with the Rencontres Economiques d’Aix-en-Provence and maintains a systematic presence in the public debate through press columns and daily interventions on a French radio channel, Radio Classique. He is also a member of the Economic Council for Sustainable Development, an advisory council within the French Ministry for Environment. From 1997 to 2006, he was a member of the Conseil d’Analyse Economique, the French Prime Minister’s advisory council on economic matters. A graduate from Ecole Polytechnique (1978) and Ecole nationale des Ponts et Chaussées (1981), Professor Jacquet is a member of the higher civil service Corps des Ponts et Chaussées. While at the French Institute of International Relations (IFRI), he attended economics and political science courses (graduate level) at both Harvard and MIT (1981-1983). A Chevalier de la Légion d’Honneur distinction holder, Professor Jacquet has over 80 publications and more than 200 press columns to his credit that focus on international economy, trade, economic policy, development and the governance of globalization. He writes a monthly column for the Le Monde de l’Economie and has co-authored the textbook Economic Policy: Theory and Practice (Oxford University Press, 2010). He also co-founded and co-edited with Laurence Tubiana, of the French Institut du Développement Durable et des Relations Internationales (IDDRI) and Dr. Rajendra K. Pachauri of The Energy Research Institute (TERI, based in New Delhi), a yearly book on sustainable development. This book has been published in French by Les Presses de Sciences-Po (2007-2010), and, since 2011, by Armand Colin (2011-2012) under the title Regards sur la Terre, and in English by TERI Press under the title A Planet for Life.